They say that as class sizes get bigger, teaching becomes less about teaching and more about crowd control, and the same might apply to staging a play with a large cast on a tiny stage. If Bernada Alba’s five daughters are a worry to her, it’s nothing to the problems they cause director Harry Denford as he tries to find room for them on the stage of the London Theatre – there’s scarcely room for them all to be standing at once, let alone finding them all somewhere to sit. This leads to some rather unnatural stage pictures, especially in the climactic scene when they all react in their separate ways to the tragic news they’ve just heard. But I’m getting ahead of myself. Lorca’s play is a masterpiece of simmering tension, life under a repression that never lets up, whether that of Bernada Alba on her family or the broader society on all of them (and we may assume that a playwright whose full name was Federico del Sagrado Corazón de Jesús García Lorca knew something of the stifling effects of ur-Catholicism). Lorca’s genius was that, even though events on stage are influenced by a number of men – Alba’s second husband who has just died, her first who left the eldest daughter rich, and the handsome Pepe who has caught the eye of several of the daughters – we never see any of them, only they effect they have on the women of the family. Unlike Reb Tevye, Alba is not trying to marry off her five daughters but to keep them chaste, imposing an eight year period of mourning following her second husband’s death. The youngest, Adela, has just turned 20, and comments that it couldn’t come at a worse time for her – especially as she’s certain she’s the one Pepe really likes, and he’s only marrying the eldest Angustias for her money. This may explain why suspicious noises are still heard long after he has said goodnight to Angustias at her barred window at 1am. And if there was any doubt how high the stakes are, the first act ends with the story of how the townspeople (and even dogs) react to another young woman who has a child out of wedlock. No lack of tension, then, but all too often plays that rely on the mores of another time and place can come across as static museum pieces. Fortunately that’s not the case here – if anything, the cramped stage only emphasises the claustrophobia. There are strong performances from Hannah Victory as Martirio, Cindy Evans as La Poncia and Verity Williams as Adela. However, I’m bound to wonder why some actors speak with Spanish accents and others don’t – I think an overall decision either way needs to be made – and why, given that we heard sound effects for crowd noise, there were none for the gunshots we are told about? A technical hitch? Roger has written several plays, which have been performed as far afield as Warsaw, Prague, Pittsburgh and Buenos Aires. One of them, Guilty Secret, has been published by Oberon Modern Plays. He directed his own first play, Why Don’t You Just Sing Jazz?, on the last night of the Grimeborn Festival of Alternative Opera at the Arcola Theatre in 2009. 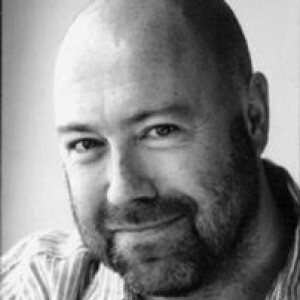 He is the founder and Artistic Director of Two Sheds theatre company, for which he has produced and co-directed Torben Betts' Muswell Hill, Edward Bond's Black Mass and Athol Fugard’s My Children! My Africa!